Once you've built your prefered settlement with stores, crops, guard posts etc. you'll want to assign workers to each of the functions. In this quick guide I'll explain how you assign workers to different functions within your workshop. This seems to be a common question for new players so I've included a little tutorial here. Advanced players will probably want to skip over this section. Before we start it's worth covering a little about SPECIAL skills and how they affect settlements. If you're serious about building bases then investing in the Local Leader Perk is essential. Ascending to Rank 1 will allow you to establish Supply Lines between different settlements, whilst Rank 2 gives you the option to build Stores and Workstations. Science Rank 1 will give you the option to build generators, water purifiers and many other handy items. Gun Nut Rank 3 will help with defence, allowing you to build Missile Turrets which are considered one of the best defensive workshop items. Ok, now we understand the SPECIALS let's dig into the tutorial. Many workshop items only function when you have a person assigned to them, for this reason you should select a worker and systematically assign them to it. Without a worker, food won't be collected, guard posts will be unmanned etc. First enter Workshop mode by interacting with the workshop in the current settlement. This workshop screen is the one that lets you select items to build such as beds, chairs etc. Take note of the little contextual icons at the bottom of the screen. Find a particular worker, preferably one who isn't doing something else more valuable. In the example above this lazy worker is sitting down so he's first up!! As soon as you point at the worker, the contextual menu should change. Can you see the Command option? For PC players this is the E key but for PS4/XBox consoles check your screen for the right button. Now that a worker has been selected, walk up and point at one of your structures. In the example image above I walked up to a Guard Post. This guard post has no-one assigned to it. 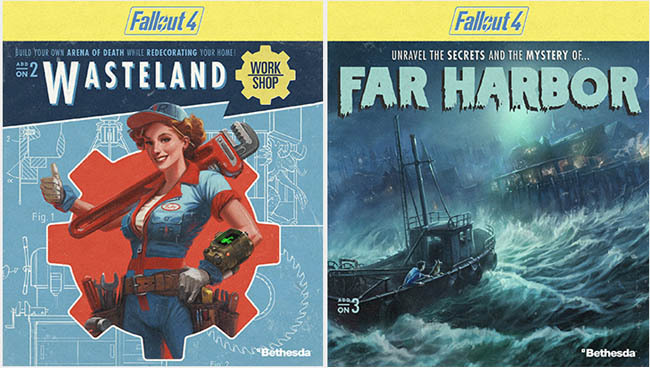 You can check this by looking at the little Pip-Boy icon. If he's red then the item has no worker associated with it. Similar to before - as you point at the structure the contextual menu changes. This time it should say Assign, which is the E key again for PC players. Press the correct key/button and this worker will be assigned to that structure. The game will make a little beep and a notification appears in the top left hand corner. You can now double check if the worker is assigned to an item by moving away and repointing at the item. 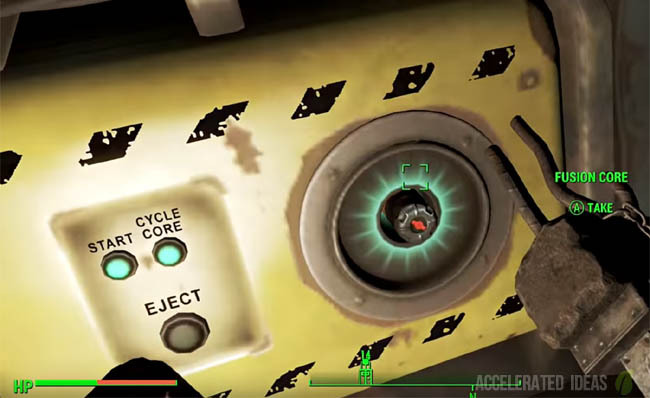 The little Pip-Boy in the top left hand corner should now be a solid green colour (rather than red). Why can't I assign a worker? There's one important rule you need to know for assigning workers and it's that not all workers can be assigned to something. Seems stupid but hear me out. 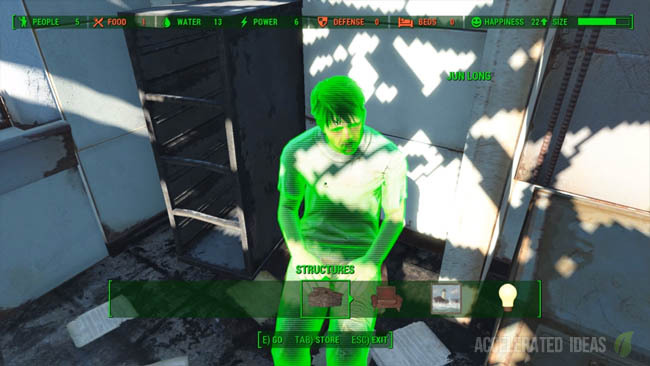 In Fallout 4 there are different types of individuals. The one's to avoid are settlement leaders and idle travelling companions. Both of these individuals are stubborn and unwilling to help. Instead, look for common settlers who will be open to commands and assignment. In addition to assigning workers to items within the current settlement, you can also command individual's them to walk to a particular spot or even relocate to a different settlement entirely. 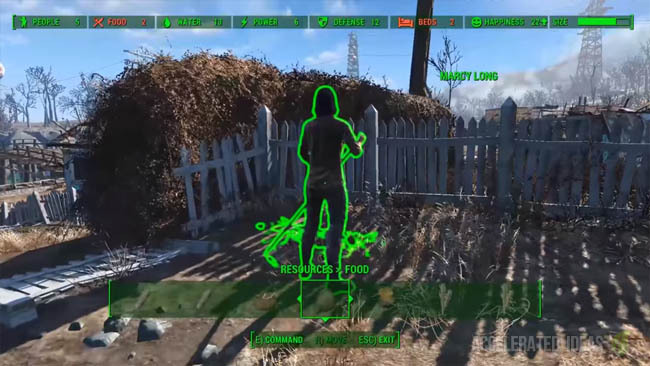 If you've invested in the Local Leader perk then Supply Lines will become an option, allowing you to connect your settlements together to share food, water etc. Any settlers you assign to a supply line will continuously travel back and forth along the Supply Line routes. Cancelling an assignment is achieved by first selecting the individual and cancelling the association.